We’ve all been there. A guest at your restaurant is causing a scene that is affecting other paying diners. Your server has alerted the manager, and you, as the manager or owner, are deciding how to deal with this delicate situation. What do you do? 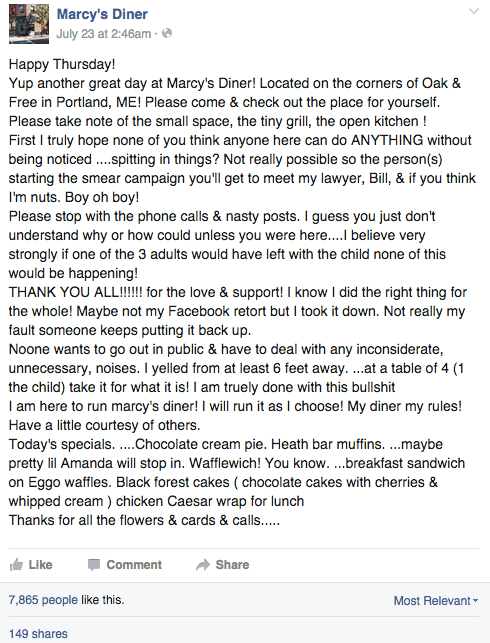 By now you’ve probably read about the scandal that occurred at Marcy’s Diner last week. 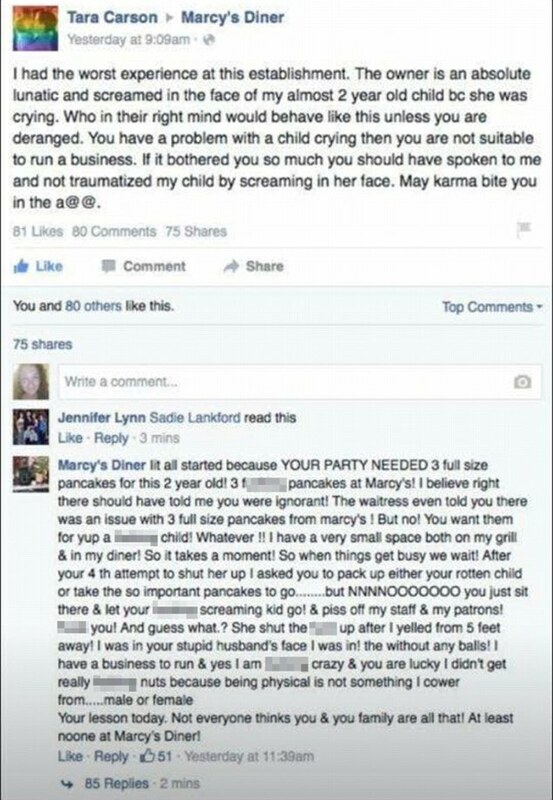 Basically, it’s another tale of a disgruntled customer taking to social media to tell her story of abuse at Marcy’s Diner, and by the restaurant’s owner at that. If you’ve read about this scandal on BuzzFeed, Global News, CBS News, and more, you know the main idea of what happened in the diner, and the aftermath on social media. As a recap, here is a picture of the original Facebook post by the guest, and the response from Darla Neugebauer, the owner of Marcy’s Diner. This scandal has had two major effects on Marcy’s Diner. 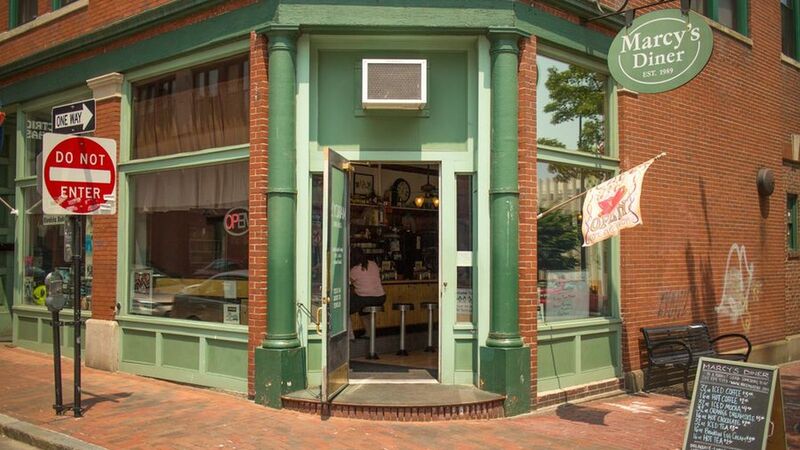 The first being a slew of negative reviews and articles about Marcy’s Diner and the owner. What was once a pristine online reputation has now sunk to the depths of below 3 stars. 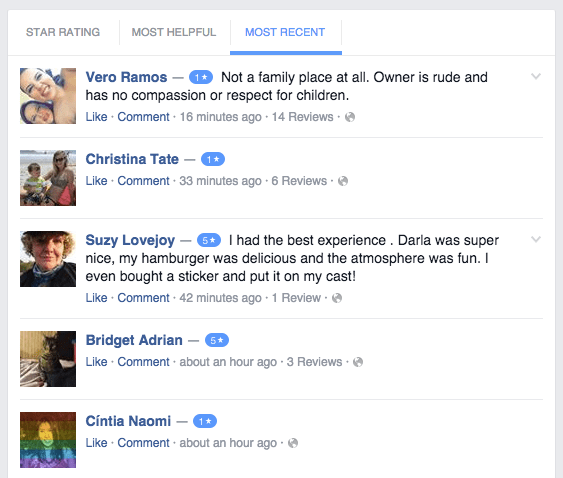 Marcy’s Diner Facebook page rating is now 2.6 out of 5 stars. While their Yelp rating hasn’t decreased as much, people are still voicing their upset on any and all review websites. The second effect of this scandal is the attention it will continue to receive, forever. Marcy’s Diner is buzzing now, but for all the wrong reasons. Potential customers are divided between those that support the owner’s argument, those that support the customer and her family, and those that just want to eat breakfast. 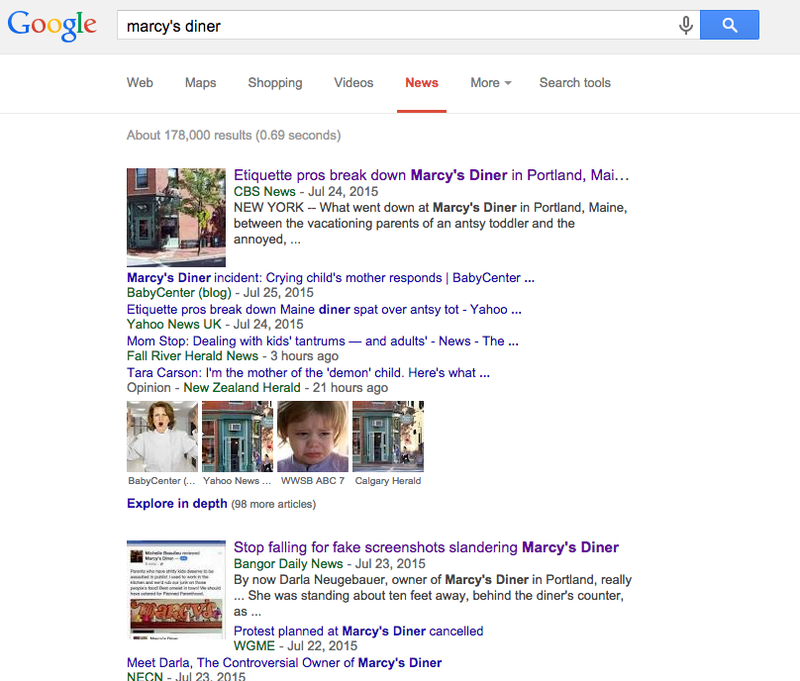 All press is not good press, and now whenever someone types “Marcy’s Diner” into Google, this entire scandal with be re-told. 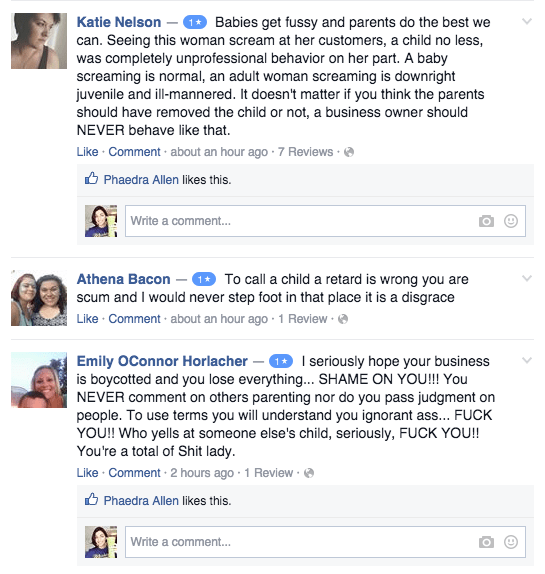 So, if you were in Darla’s situation, how would you respond to the guest’s Facebook post? We have a few tips that could potentially save you quite a headache and a lot of negative press. 2) DO NOT RESPOND PUBLICLY. By giving the angry customer a reaction (and a horrible reaction at that) you are adding fuel to the fire. Send a private message with an apology, and don’t give the situation any more attention. 3) Do not use any profanity. You may use profanity in your private life, but when representing your business online (for all eyes to see) it is extremely unprofessional to use inappropriate language. What could have been resolved with one private, profanity-free message has now become a spectacle for the world. 4) Do not continue to discuss the situation. Darla continues to mention the scandal, which only brings more negative attention to her, and her business. So there you have it, the right way and the wrong way to deal with negative customer reviews and protect your online reputation. Do you have any tips we missed? Add them in the comments below! Here is my take, the owner of Marcy's Diner acted unprofessional. The reality is kids do cry and yes you want to protect your business and ensure satisfaction of your paying customers, at the same time, there is a line you don't cross as a business owner especially, when you deal with the child of a customer. The owner should've approached the mother with a different tone and if possible, look for ways to calm down a screaming child. Offering such child a toy or even sitting down at the table with the child, while he improvises some children jokes could've helped and if not, the mother would know he tried and made the effort. A competent business man does not use profanity to address an enraged customer. He needs to apologize and find ways to reshuffle his business style and incorporate a child friendly business model. Other parents will bring their kids to eat. Perhaps, he needs a special area in his restaurant for people with kids and if he doesn't have such space, having some toys available for kids may do or else, he does not belong in the food business. Great points, Adeyemi! We agree that profanity is never appropriate in a business setting. This old saying holds true especially in this case: You can catch more flies with honey than with vinegar! Wow. I can't believe how the owner responded on Facebook for all to see, especially with that much profanity. Thanks for sharing this case study and how not to act when a situation like this arises.